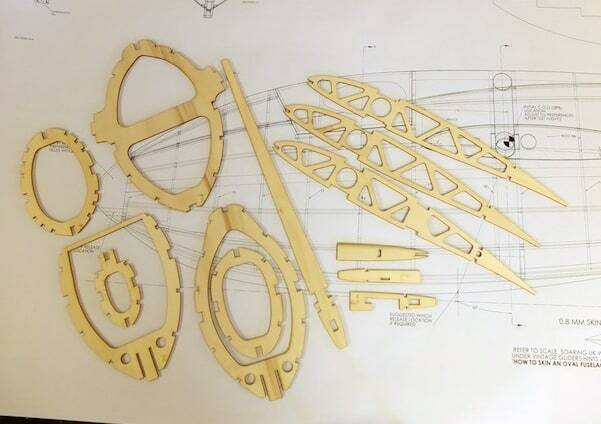 We are grateful to Jilles Smits for providing these plans in 1:3.25 (4.8m span) scale of one of the most popular and graceful gull wing gliders from the 1930’s in Germany. The following is a description of the plans by Jilles. There are 7 pdf sheets in total. The end of the sheet file names indicate the sheet size and should be printed with the scale factor set to 100%, not at fit to scale. 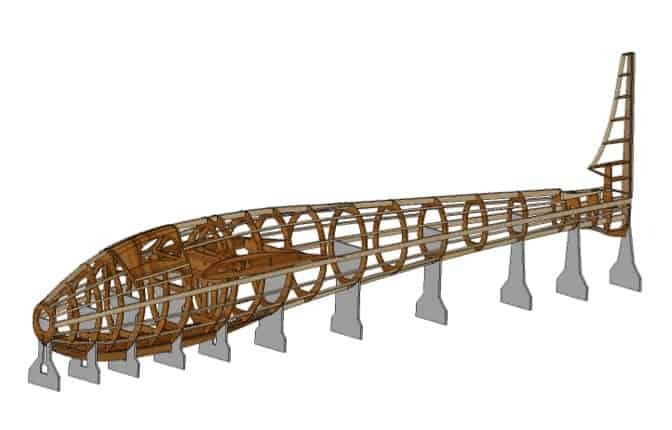 The overall shape is taken from a 3 view drawing of Martin Simons as published in the QFI magazine of 14 July 1995 which includes documentation. The wing profile I used is HQ35-12 with no washout as per Chris Williams suggestion. Construction is traditional ply, spruce and balsa, with 0.4 mm ply D-box sheeting and cap strips. 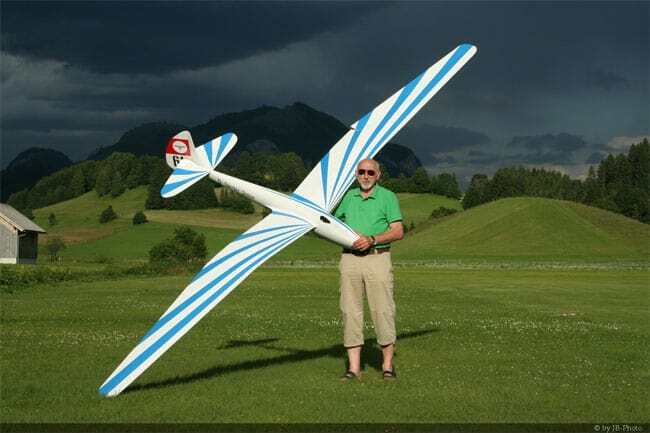 I plan to build the model using a 25 mm dia aluminium tube x 1.6 mm wall wing joiner.The tube is bent to suit the inner wing dihedral but can be removed for transport. The horizontal stabiliser /elevator has a built in Hitec wing servo, so for removal only the servo lead has to be unplugged. The above features may not be attractive for every potential builder, so for that reason I also included two sets of DXF files for laser cutting, one set to suit the 25mm wing joiner and an other set with the joiner holes removed from the ribs and main formers F8 & F9 shown solid.The builder can than modify these parts to suit. A set of DXF files are also provided. One for 3mm and one for 5 mm plywood, based on a 1200x1200mm parent sheet. 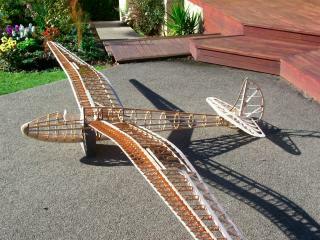 All fuselage formers and wing ribs are plywood, If the ribs are preferred balsa than replace the 3 mm main ribs with 4 mm balsa and cut them solid, (no weight reducing holes) The half ribs could be 3 mm balsa but also solid. 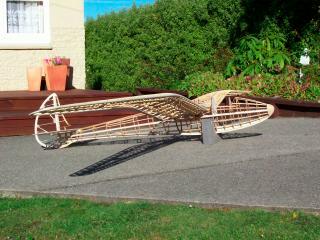 It would not save weight to use balsa ribs and plywood will be stronger. 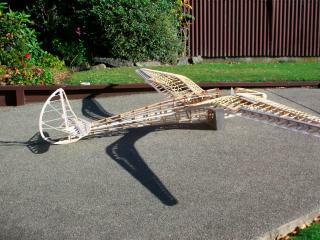 No DXF files are supplied for the little balsa parts. They are shown on the drawings. The estimated overall weight is calculated at approximate 9 kg, with the nose lead, glue and finishing. The plans are by no means 100% complete in every detail but for an experienced builder this should pose no problem, but if a potential builder sees room for improvement on the design please go for it. 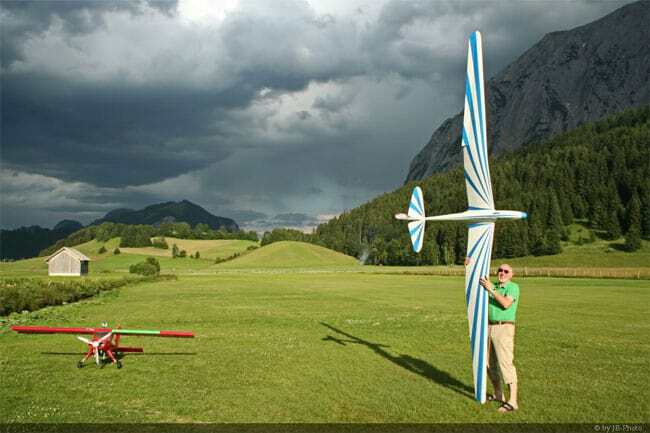 The second one is that I have two servos per aileron in mind. These servo areas are also fully sheeted with ply.